Spanish-born composer and pianist Jose Bonet, known for his piano works, offers his release Entre Ayer Y Hoy (Between Yesterday and Today). Bonet combines a frolicking nature with a dramatically intense style. His love of the music is evident in each piece. He allows his emotions to emanate from the keys as he plays, his self-expression to flow through the notes he has written. "Atrezzo Barbaro" is his first presentation on this album. It is artfully written and beautifully performed, and finds him adding a soft Spanish flair to his classical style. This becomes his signature sound. "Consecuencia" is a romantic and entrancing selection. You can feel the depth of feeling pour into the song, in which he combines quick movements with spirited keywork. "Isabel" is a gentle and sadly demonstrative musical number. Here we begin to fully realize that this artist allows himself to be exposed through his works. He is unafraid and he holds nothing back. "Que Ti Iba A Decir" is a more lively number. The quick pattern of notes makes for a lively, energizing, happy song. Oddly enough, although out of my usual comfort zone, I actually enjoyed the repetitious nature of "En Aquel Momento." 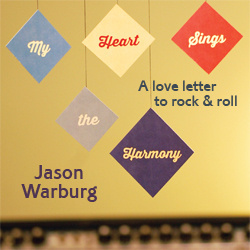 Entrancing and sensitively laid out, it builds on itself, repeating the notes over and over. Somehow, surprisingly, it does not become boring or mundane. The music is distinctive and does not become tiring; it remains fresh and interesting. Bonet has a sense of magic and he expresses it through extraordinary music. His joy and his sad moments are all laid out for your entertainment. He wants you to share in his art, and he does his best to envelope you in the charm of his music. He uses the music to express himself but also to recount his Spanish history. He believes music to be the sincerest language; it is a form of realism in which nothing should be hidden from the listener. When asked whether he prefers the joy of live entertainment more than the preciseness of recorded work, he states, "The records [are] planned and studied so that the final result is perfect. The live concerts have a special magic. The tranquility of the study and the passion of the concert." No matter the format, he wants to please his listeners. Jose' loves the keyboard and the music loves him; it is a creative collaboration. Jose Bonet is unabashed at exposing himself to you in his entirety, and it all comes together on Entre Ayer Y Hoy. © 2005 Tammy Childs and The Daily Vault. All rights reserved. Review or any portion may not be reproduced without written permission. Cover art is the intellectual property of Independent release, and is used for informational purposes only.